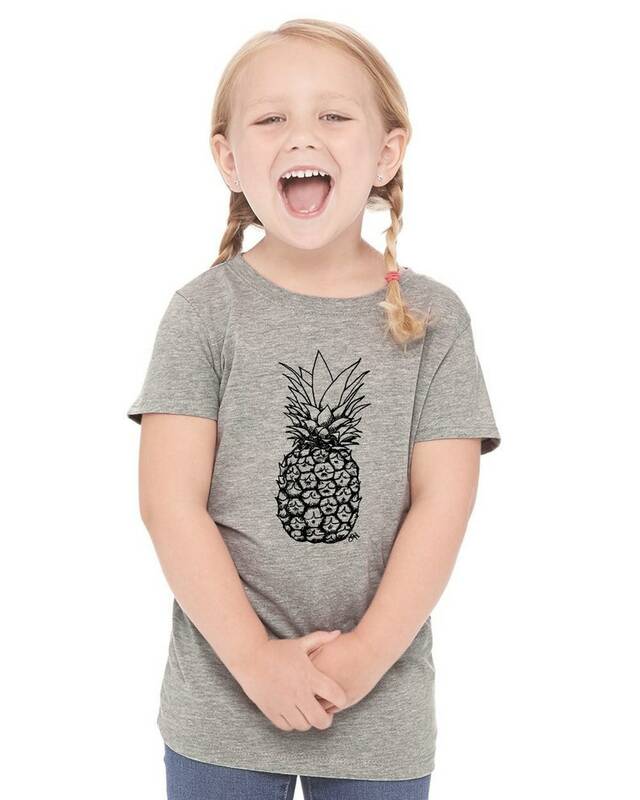 This t-shirt is hand printed with my drawing of a Pineapple. All shirts are hand printed by me from my own artwork. This shirt is pictured in a heather grey shirt with black ink in the first photo (other colors shown are listed below if you want something shown but are not sure which color it is!). You may choose different shirt colors from the drop-down menu or different ink colors from the list below by writing the ink color in to the "message to seller" section during checkout. ♥ Choose your ink color by writing it in to the "message to seller" section during checkout. If no color is written in I will use my best judgement and choose the ink color myself. ♥ The "great fit guide" is the best way to get a good fit, but I am also always happy to exchange sizes. Many ink colors do not print well on darker shades. • compare the measurements to the size chart. The one with the closest measurements will be the best fit. If you are between sizes, I recommend choosing the larger one.